Spending what feels like forever cruising around a crowded downtown area looking for parking can be highly frustrating, but there’s an obvious solution: take alternative transportation. Decades of car-centric culture around the world have made it difficult to pry people out of their vehicles and into the seats of buses, trains and bicycles, but what if those modes of transportation were a lot easier to access and enjoy? 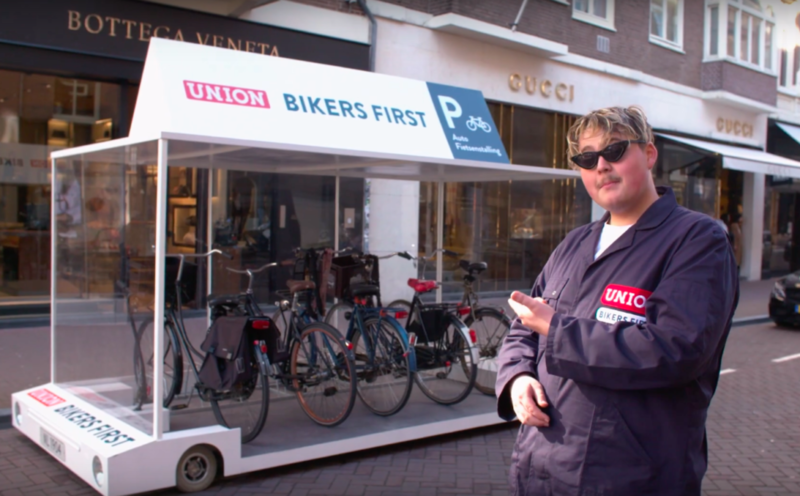 A new collaboration between Dutch bicycle brand Union and ad agency Natwerk aims to do just that with a fun mobile parking shed for bikes. 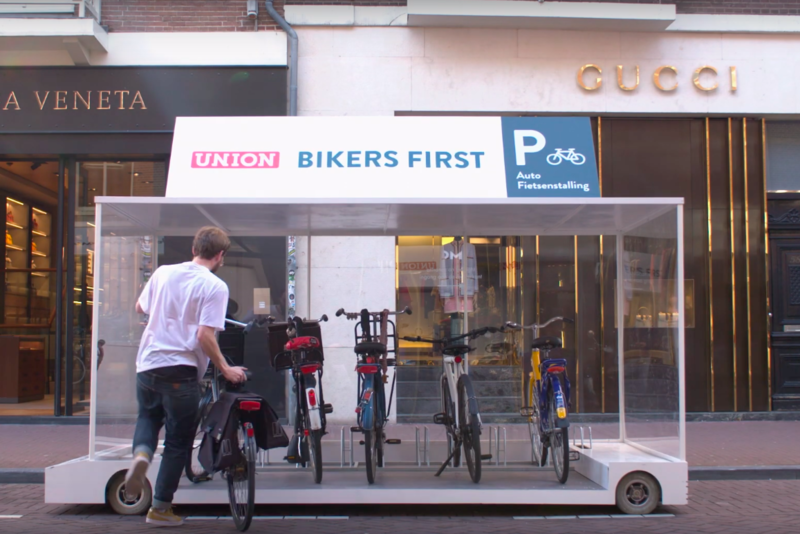 One could argue that there’s ample space to park bicycles all over the city of Amsterdam (and most cities, for that matter) while parking spots for cars are harder to come by, therefore the pop-up is taking up valuable space. But that’s part of the point. 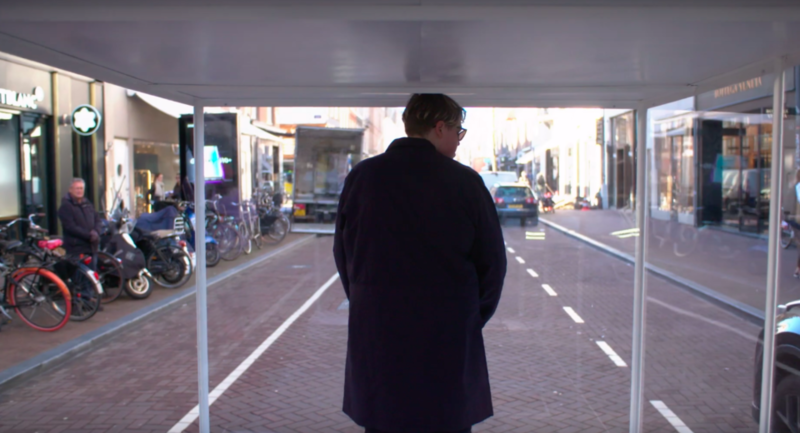 The project demonstrates how many more people could get around if there were fewer individual vehicles on the road, especially those with a single occupant. In fact, Union argues that there are still too man parking spaces for cars instead of bicycles in a city where cycling is so popular. Since cars are still so convenient, it might take more than a little “bullying” to prompt people to consider alternatives. While bicycling is not for everyone, and some people still need to drive due to cargo or disabilities, cities would be a lot more pleasant (and emit a lot fewer greenhouse gases) if they contained fewer cars. 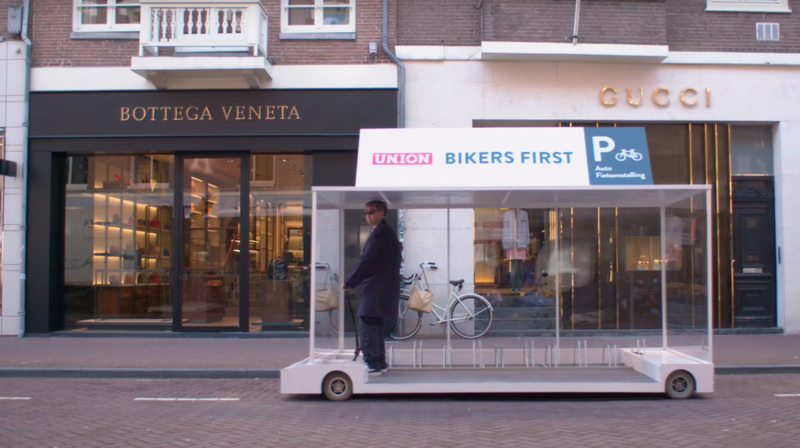 While occupying more parking spaces for other uses would undoubtedly upset a lot of drivers, it could also provide a bit of a helpful push toward a new way of thinking about urban transit.